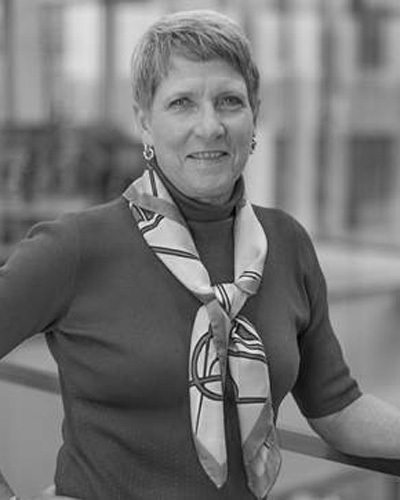 Kate Sweeney is a Senior Vice President, Financial Advisor and founding partner of The Sweeney Group. As a top industry professional, Kate provides highly personalized advice to busy professionals and multi-generational families, with an emphasis on individuals experiencing sudden wealth, such as winning the lottery or selling a business. Her comprehensive approach includes a thorough planning process and a commitment to providing outstanding service. Kate’s experience and exceptional coaching skills enable her to understand the intricate details of each client’s personal wealth. She focuses on what is most important, so she can develop a tailored plan to build, preserve and transition wealth across generations. She began her career in 1983 at PaineWebber, before joining the Morgan Stanley family three years later. She is proud to be a member of the firm’s history for more than 30 years. An education advocate, Kate remains committed to advanced learning for herself and her clients. A Rutgers University graduate, she has earned the industry’s most prestigious designations, including Certified Financial PlannerTM, Certified Investment Management Analyst® and Accredited Investment Fiduciary®. Throughout her career, she has also received numerous awards. Most recently, she was recognized by Forbes as a Best in State Wealth Advisor and Top Woman Wealth Advisor in 2018. Kate’s motto, “from our family to your family,” represents her belief that clients are part of an extended family and include people from all walks of life. Her passion for helping clients is equaled only by her dedication to her community and the environment. Kate was co-founder of the organization RU-BiGLATA, providing support for students in the LGBT community. She was captain of the Rutgers women’s basketball and lacrosse teams and continues to maintain an active presence on campus. Kate also enjoys volunteering with Surfrider Foundation to preserve the world’s oceans and beaches.